What Can You Do to Winterize Your Home? There are many great Gillette area homes for sale. Click here to perform full home search, or if you’re thinking of selling your home, click here for a FREE Home Price Evaluation so you know what buyers will pay for your home in today’s market. You may also call me at (307) 250-4382 for a FREE home buying or selling consultation to answer any of your real estate questions. Blow out your sprinkler system if you have one. Make sure you either have the right tools, or hire a company that knows what they are doing. Wrap any pipes to the outside in heat tape to ensure no freezing occurs. Change out your furnace filter, and have your filter tuned-up. If you have a fireplace, make sure that is maintained. 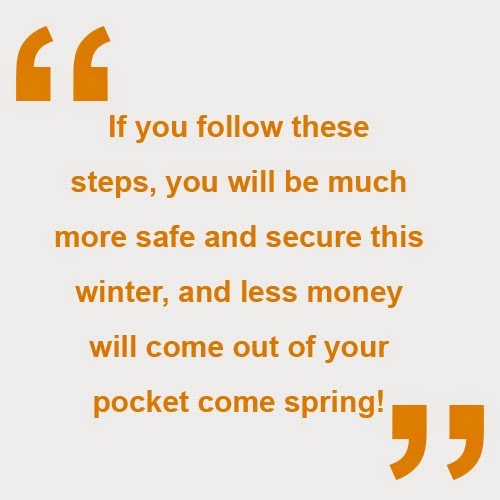 If you follow these steps, you will be much more safe and secure this winter, and less money will come out of your pocket come spring! If you have any questions for us, feel free to give us a call or send us an email. We would be glad to help out!